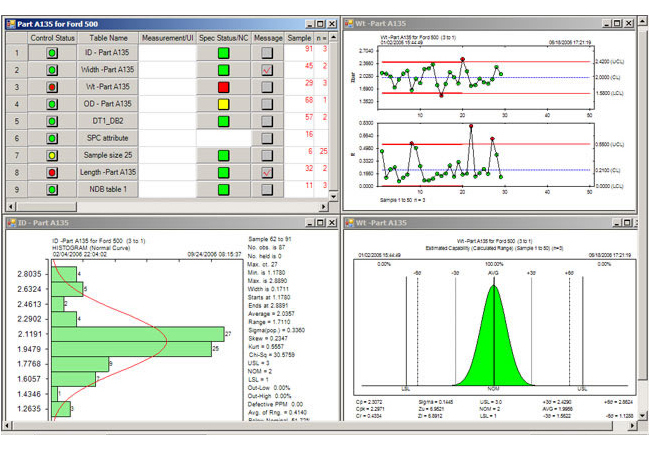 Statistical Process Control, often called SPC in production process is a method of Quality Control. All manufacturing industries need to adopt a process in quality control department in order to monitor and control, which ensures that the machine operates at its full capacity. Also, it eliminates waste, scraps and rework. SPC is a sub-process of QC where the specifications of finished goods are measured and confirms with the expected level. Also, this process makes sure that early detection and prevention of problems in machines rather than correction of problems after they have occurred. Ess-Matrix Infotech design, develop and implement customized application software for SPC process according to the customer's business process to all type of manufacturing industries. It also integrates with measurement scales such as vernier caliper scale, digital weighing scales etc.